Have a very happy new year, and may your New Year's resolutions include a pledge to write, write, write! Following is an exclusive excerpt from the new book, Glistening Haven, by Jill Cooper! “You’d rarely suspect them as ours.” Jeff agreed with a sip of Susan’s coffee. “It was a joke,” Susan brushed off Jake’s shoulders. “And you look handsome as ever.” Her smile glowed and inside a well of pride sprung a leak. “We could eat out,” Jake suggested. “That takes money and you know there isn’t enough to go around. You like this house heated and with cable TV? You like those stylish clothes on your back?” Jeff stood and shoved his bar stool into the kitchen island. The teenagers eyed it and the air in the room thickened. “He doesn’t mean it, Daddy. Do you?” Marie turned toward her brother, her ponytail lashing at the back of her neck. Susan patted his cheek. “Good boy. Better get off to school. The bus will be outside any moment.” She kissed each of their cheeks and handed Jake his lunch. “No trading at the lunch table again, understand?” The front door latched and Susan pivoted, placing her hands on her hips. “Well, I don’t have to like it.” Jeff huffed. His shoulders relaxed when Susan kissed his cheek. “I know, I know. I guess I just remember being him, before I moved here. What a dope I was to both my parents.” Jeff shook his head. “I love bingo and you love me, so therefore…” Something on the counter caught Susan’s attention; it was Marie’s metal thermos. Eyes wide, Susan snatched it and charged out the front door. She sprinted down the street and over the residential hill. At the corner stood a group of students. The girls were dressed in proper skirts and high heels, while the boys wore pressed shirts and khaki pants. “Marie!” Susan called as the bus squealed to a stop beside them. Marie glanced up with surprise, clutching her lunchbox in one hand and her school books in another. Diane nodded, tears glistening in her eyes. “I could put on some water for tea.” Diane said and pattered inside, leaving Susan to step in and close the door behind her. Susan adjusted her skirt and heard the sound of playing coming from the living room. Peeking her head around the corner, she saw a sofa and furnishings already in place, with cardboard boxes stacked against the wall. The two boys playing on the beige rug were four and five, or thereabouts. Cute children, Susan thought. Each had thick blond hair, with bracelets on their wrists. Around their necks, Susan saw red marks. She gulped down a quick breath of air. How horrid the process was, just horrid. Susan clicked down the hall and found the kitchen. Diane sat at the table beside a window that overlooked a small cramped yard. If it was big enough for a barbecue grill, Susan would have been surprised. Diane and her husband were quiet, holding each other’s hands while their eyes were somewhere else. Susan knew what it was like. She knew exactly what they were going through. “And if you don’t?” He asked quietly, angrily. “Will the tea be ready soon?” Susan asked. 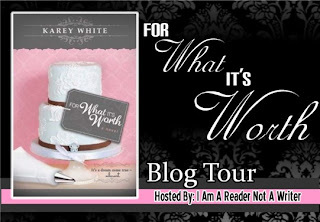 CLICK HERE to enter the author’s giveaway for a $75 Amazon gift card! "...and it was always said of him, that he knew how to keep Christmas well, if any man alive possessed the knowledge. May that be truly said of us, and all of us! And so, as Tiny Tim observed, God bless Us, Every One!" Swept into the Darkness Book Blast: Giveaway for an Amazon Kindle! Sydney London is no ordinary twenty-four-year-old. Ever since she was a child, she has had unique, out-of-this-world abilities. Suffering from a near-death experience and surviving a deadly car crash, Sydney is no stranger to death and loss. Cut off from the world around her, she encounters an Angel and eventually falls for him, inspired by deceitful magic. Her one true love waits in the shadows, attempting to guard and protect her by risking his immortality. Traumatized by the murder of her best friend, she sets off on an unspeakable journey to bring the dead back to life. Sydney’s journey of self-discovery opens her up to learn of her true angelic identity. She is led in the middle of an inter-dimensional war among a hybrid breed of Angel Vampires and the Hierarchy of the Angelic Clan. Will her unique powers and the love she bears for her guardian be enough for her to save the Earthly Realm -- or will she be Swept into the Darkness? Years of exposure within the writing and publishing world have made a lasting impact on author LaTaeya Lane. Writing since she was seven years old, Lane began jotting down phrases and themes, later turning them into poems and short stories. 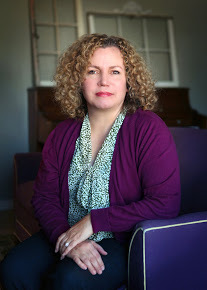 Writing became such a passion throughout her youth that she became the Junior and Senior Editor of her high-school newspaper. She wrote her first novel at age sixteen, but was not seeking publication at that time in her life. 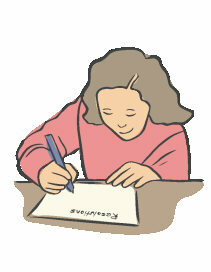 Lane entered several creative-writing contests during her early years of writing and won a few of them. Always captivated by the supernatural and elements of fantasy, Lane was inspired to write a series of books that focused on going beyond the boundaries of life and imagination. The angel vampire fantasy, Swept into the Darkness, is Lane’s first published book in a series called Chronicles of the Celestial. Lane completed a degree in Social Sciences and currently works to support the education of special-needs middle-school students. 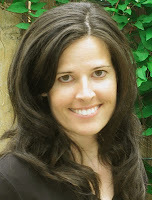 Lane resides in the state of New Jersey with her husband, Leo, and is working on writing and publishing the second book in the series. 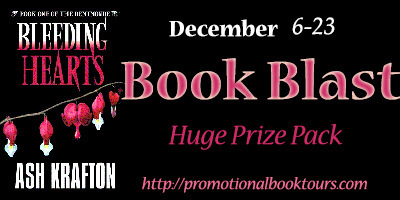 Love and Blood Book Blast: Giveaway for a $15 Amazon Gift Card and eBooks! Bronwyn Fitzgibbons was young and reckless. It was easy for Ronan to steal her human life and make her a vampire. She ran, but she never forgot him -- or how he made her feel. Join the Love and Blood release event! Jessica Gibson lives in California with her husband and young son. She loves to read, and that love helped her to branch out into writing. Aside from writing, she runs an online event planning business called the Release Day Diva. 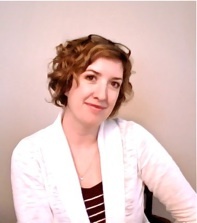 In addition to novels, Jessica writes and maintains the blog, Book on the Bright Side. 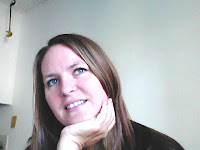 Keep up with Jessica and her latest releases and events on her blog, This Author's Life. Blood Lust (Prequel to Love and Blood) is available for free on Smashwords. Fill out the Rafflecopter form below to enter. Open internationally! 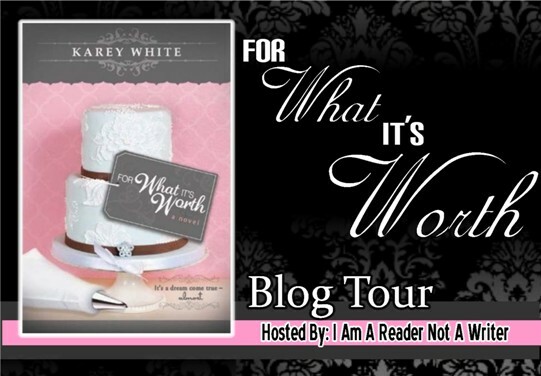 For What It’s Worth Book Tour: Exclusive Excerpt and a $25 Amazon Gift Card Giveaway! 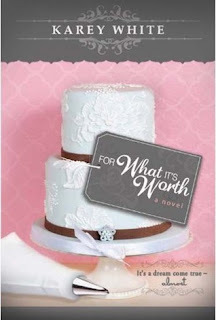 Twenty-four-year-old Abby Benson has dreams of owning her own wedding cake shop. An inheritance from her aunt gives her the ability to make those dreams come true. She hires Dane, a handsome contractor, to help her get the bakery up and running, and soon they’re moving toward their own happy ending. I just loved the book -- loved it. Hated putting it down and hated finishing it. Karey White is my new Maeve Binchy, her writing as warm as the bakery her novel is set in. For What It’s Worth surprised me, made me smile, say “no” out loud in a public place. I love when a character feels like my sister. I didn’t want to finish it, so now I may try the recipes that began every chapter. “Hey, be nice,” I said. “All I know,” Dad said, “is that you have talent. Aunt Grace knew that. We all know it. If it doesn’t work out, you can find a hundred jobs like the one you have right now. But if you don’t try, you know you’ll regret it.” They all believed I could do it. Aunt Grace had staked a lot on that belief. Why was I so unsure? I stood up and hugged Dad. “You know we’ll help you,” Mom said. I could practically see my simple life waving good-bye. I thought I might throw up. “Of course we will,” Kate said. “You’ll be fine.” I wasn’t so sure about that. I think in order to be fine, you have to have oxygen, and right then I couldn’t breathe. Population: Human ... 7 billion. Others ... unknown. When 14-year-old Char­lie Blake wakes up sweat­ing and gasp­ing for air in the mid­dle of the night, he knows it is hap­pen­ing again. This time he wit­nesses a bru­tal mur­der. He's afraid to tell any­one. No one would believe him ... because it was a dream. Just like the one he had four years ago -- the day before his dad died. Char­lie doesn't know why this is hap­pen­ing. He would give any­thing to have an ordi­nary life. The prob­lem: he doesn't belong in the world he knows as home. Alecia Stone has been in love with anything and everything paranormal for many years. She graduated with a BA in Film & TV and has worked in television for a short period of time before branching out into storytelling. When she isn't writing, she enjoys going to the movies, listening to music and travelling. Talisman Of El is her first novel. She currently lives in England, UK. The author is giving away a Kindle Fire and a hardcover copy of Talisman of El! This contest is open internationally. Enter through the Rafflecopter form below. Glistening Haven Book Tour: Giveaway for a $75 Amazon Gift Card! Before the reconditioning begins and Susan's identity is lost, she must do one final thing: find her son. Fill out the Rafflecopter form below to enter. In 1941, the Japanese attacked the west coast of America and had soon overthrown the underequipped and poorly led Mexican armies. By 1945, they had cast the Russians out of Alaska because the Russians were too busy fighting the man with the little mustache to worry about another section of frozen tundra. By 1948, the Japanese were knocking on Texas' door and the leaders at Austin were forced to recall many of their troupes from Europe in order to fight the more immediately threatening menace at home. In 1952, it looked as if Hitler would finally be defeated. He was hard-pressed on both fronts and it looked like the end. Mussolini -- disheartened and weakened by pneumonia -- had surrendered the previous winter, and all looked black for the Third Reich. But the madman played his hole card. It was an offensive of two airplanes that brought the war to an end. The first airplane left a German-held airfield in western France while its counterpart was refueling over the enemy territory of Russia. Then, it happened. On June 17, 1952, the world entered the nuclear age as the first atomic bomb was dropped over London. The ultimate death count exceeded a million people when the fires were put out. The British were forced to surrender when another bomb dropped on Glasgow two days later. GIVEAWAY! As part of the book tour for First Time: The Legend of Garison Fitch, the author is giving away a $50 Amazon gift card or PayPal cash! CLICK HERE to enter! 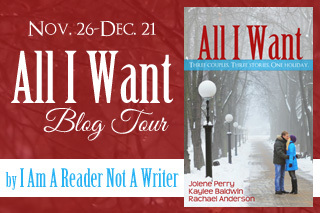 All I Want Blog Tour: An Exclusive Excerpt Plus a $25 Amazon Gift Card Giveaway! The last thing Norah needs is to be attracted to anyone -- especially in her deceased fiancé’s parents’ home. Collin’s starting a new career, and has no business getting involved -- especially while staying with his roommate’s family, who very kindly offered to take him in for the holidays. Unfortunately, you just don’t always pick the most convenient time and place to fall for someone. When Natalie goes home with her best friend for Christmas, she expects plenty of quiet time to work on a winning ad so she can turn her dream internship into her dream job. Instead, she gets time-consuming Christmas festivities, a house full of children, and Jimmy, her best friend’s brother -- someone who makes her question everything she’s always thought she wanted. When a postcard meant for Kenzie winds up in Ty’s mailbox, Ty’s faced with a decision. Should he tell her that her fiancé is breaking up with her and let it ruin her favorite holiday, or should he do what he’s wanted to do since he met her -- make a move and hope that he can win her over before she discovers there won’t be a wedding after all? She wasn’t kidding about the bookstore. I think we’ve been here for two hours. She’s come to show me two photography books, and I’m flattered she’d take the time. But now I’m ready to go, and I’ve just about given up finding her. We should have exchanged numbers. When I find her she’s facing my direction, and a guy’s back is to me. He’s chattering in that nervous voice that all guys get when there’s something they really want to say but aren’t sure how to say it. Her brows are down, she’s shifting her weight, and she’s chewing on her lower lip. If I was that guy, I’d take it as a sign that she’s not interested. Her eyes catch mine where I’m frozen at the end of an aisle of books. “I’m here with someone,” she says. “But it was nice catching up with you, Nate.” She pats his shoulder as she moves straight toward me. She tilts her head to the side and taps her cheek. Please, she mouths. My heart jumps. She wants me to kiss her cheek? She’s next to me in seconds. Too soon. Too soon to think. I lean down to kiss her cheek. She smells like vanilla, sweet, but not too sweet. My lips touch her skin, and it takes every ounce of strength in me to move away the way I know I should. My heart’s pounding. When did that happen? “Where have you been?” I try to chuckle, but I’m sure it comes very strange. “Ready to go?” She steps forward, sliding her arm around my waist, which is really just an invitation for me to slide my arm around hers, right? 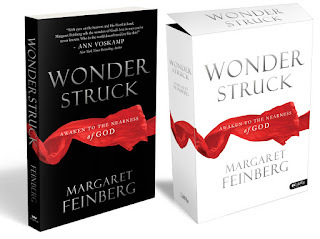 Bleeding Hearts Book Blast and Giveaway: Autographed Book, T-Shirt, Gift Cards and More! 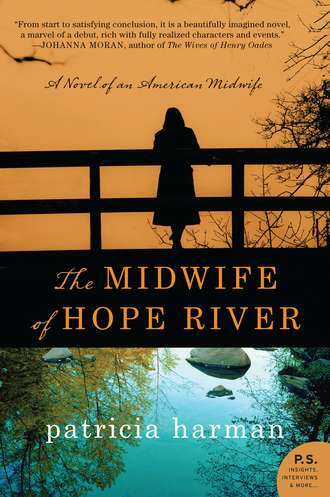 Sophie Galen is an advice columnist who is saving the world -- one damned person at a time. Shy and sensitive Sophie has all but given up on love until she meets Marek, a mysterious stranger who seduces her with his striking good looks and his take-charge attitude. Yet the darkness she senses within him may be more than she is prepared to handle when Marek draws her into a world of vampires, werewolves, and treachery. Forced to leave behind the comfortable routines and certainties of her past, Sophie makes unbearable sacrifices and uncovers hidden truths about herself and the world around her. http://ash-krafton.blogspot.com for news on her series, The Books of the Demimonde. BLEEDING HEARTS: Book One of the Demimonde (Pink Narcissus Press, 2012) is available in print and ebook formats. The sequel, BLOOD RUSH, is forthcoming in March 2013. Total prize payout valued at over $100! Fill out the Rafflecopter form below to enter. Open to US residents only. Ends on 12/23/12. The last thing Norah needs is to be attracted to anyone -- especially in her deceased fiancé's parents' home. Collin’s starting a new career, and has no business getting involved -- especially while staying with his roommate’s family, who very kindly offered to take him in for the holidays. Unfortunately, you just don’t always pick the most convenient time and place to fall for someone. When a postcard meant for Kenzie winds up in Ty's mailbox, Ty's faced with a decision. Should he tell her that her fiancé is breaking up with her and let it ruin her favorite holiday, or should he do what he’s wanted to do since he met her -- make a move and hope that he can win her over before she discovers there won’t be a wedding after all? She now lives a very glamorous life as a stay-at-home mom, elbow deep in dirty dishes and peanut butter sandwiches. She doesn’t even attempt to keep up with the laundry because non-writing time is precious, and her family is sorta awesome. Kaylee Baldwin grew up in Mesa, Arizona, and graduated from Arizona State University with a degree in English literature. She currently lives in southern Arizona with her husband, Jeremy, and their three children. When she is not writing, she enjoys reading, starting new craft projects, and spending time with her family. *You need not enter your Twitter name for each entry. Simply enter it when you follow the authors then you can leave the others blank. 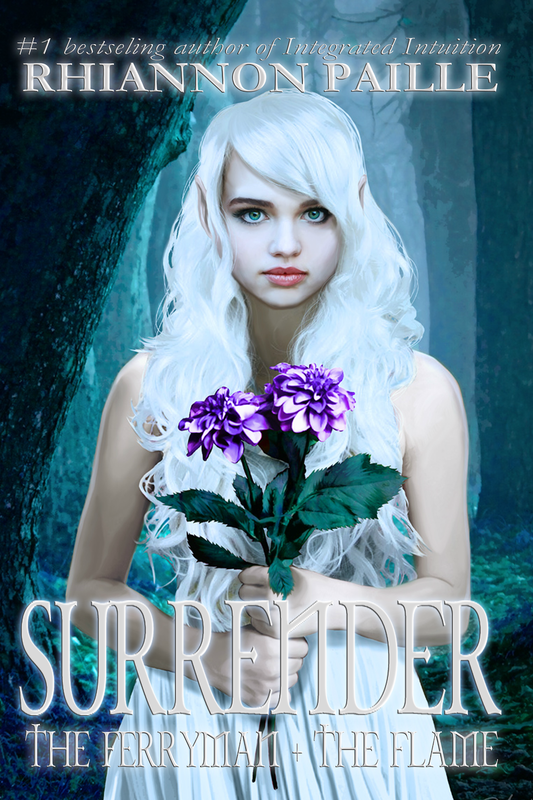 Surrender Book Blast: Giveaway for a $100 Amazon Gift Card or PayPal Cash! Kaliel was warned about her love for the Ferryman. One day, he will marry the land and leave Avristar forever. She doesn't listen, and because of what she is -- a Flame -- one of nine apocalyptic weapons, she sparks a war. In a desperate attempt to save her home and her love, Kaliel tries to awaken Avred, not knowing she may have to make the ultimate sacrifice. "My head is still spinning a bit about the plot though because I can't believe it. It's better than ice cream for a break up. The plot was original, the characters were relatable and down to earth despite not living on Earth." "Surrender is definitely full of emotion and will take you on an incredible journey through the eyes of these two incredible characters." "Reading this book felt like reading a classic, but with everything I love in a book: romance, heartbreak, and lots of action! I would recommend this book to EVERYONE and then dare them not to fall in love with it!" "Rhiannon Paille creates a unique and beautiful world that will draw you in and make you remember what it was like to be young, innocent, and full of wonder." "Surrender is hands down one of my favorite fantasy books ever. YA or not, this is just pure awesomeness and every fantasy fan should read it. It's a delectable, rich-in-detail, numbingly brilliant and swoon-worthy read that you can't afford to miss out on." Rhi was never a normal girl. Her life was an urban fantasy wrapped in a paranormal romance and served with a side of horror. To escape her everyday weirdness, she began writing fantasy. She studied at U of Sedona and MIMT, obtaining a PhD in Metaphysical Science and Parapsychology. She's married to a chef/comic book shop owner and has a fondness for architecture. 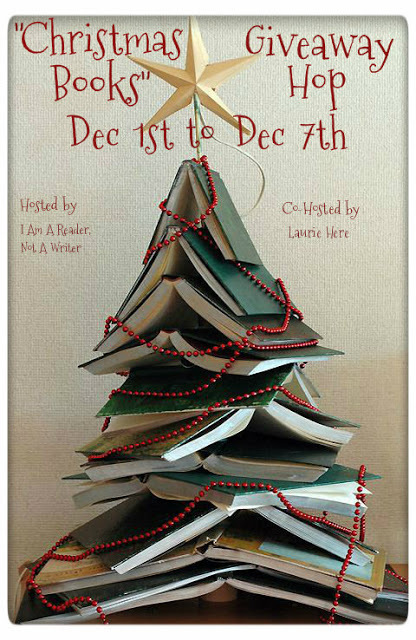 Visit Wayman Publishing's Christmas Book Fair and Help Charity, Plus Enter This Giveaway for Free Books, Editing & More! 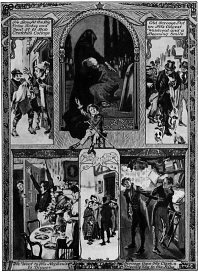 Open Doors: Fractured Fairy Tales. A socially conscious press, Wayman is dedicated to helping those in need. Much of the profit from this anthology will be donated to Primary Children's Hospital in the form of Christmas gifts we'll bring to the long-term patients staying there. Welcome to the Christmas Book Fair! to bring you this December weekend event. 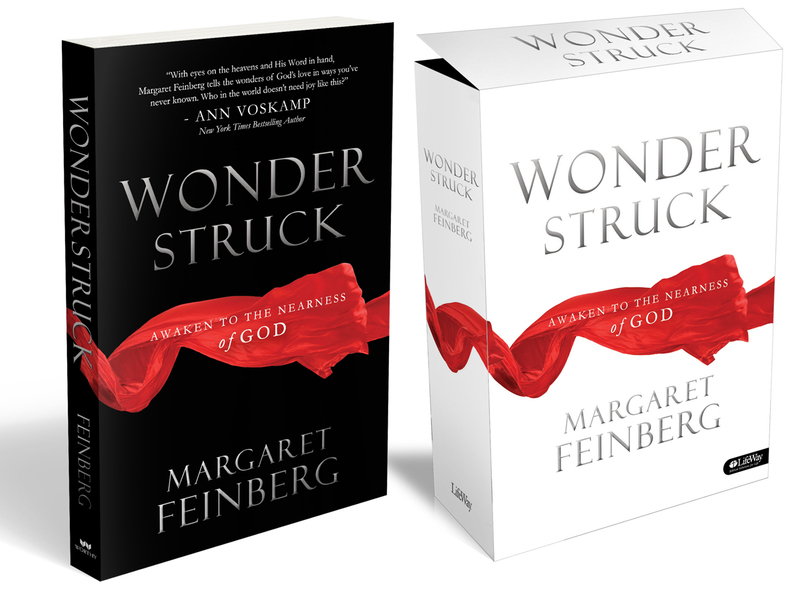 Most of the profit from Wayman Publishing's books (12/1-12/20) will be donated to those in need! Discover Upcoming and Recently Released Books! www.facebook.com/thedemonside Middle Damned Newly Released Cover! A Cat's Legacy Newly Released Cover!
. . . Also . . .
and many prizes shown below. Winners will be announced on 12/8. The hosts would like to thank everyone. We hope you enjoyed discovering new authors and their stories at our Christmas Book Fair. Christmas Books Giveaway Hop: Enter to Win Two Christmas Books by Bestselling Author Fern Michaels! 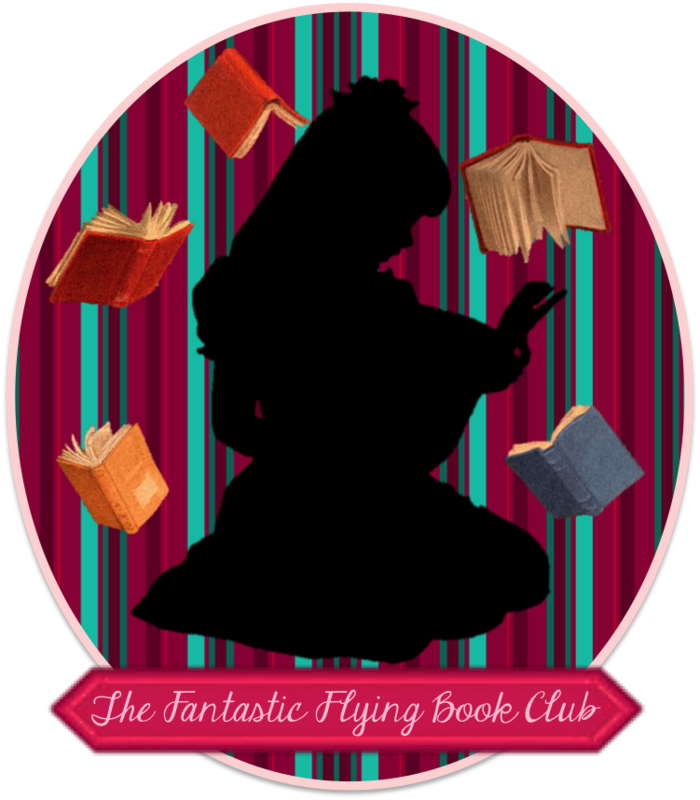 Welcome to the Christmas Books Giveaway Hop. If you love Christmas-themed books, you’ve come to the right place! All of the blogs participating in this hop will be offering giveaways of Christmas books (or gift cards to purchase Christmas books)! After you enter my giveaway below, you’ll find a link after the Rafflecopter form where you can hop around to the other giveaways in this hop. It’s the most wonderful time of the year … and for Heather Andrews, security manager at Timberwoods Mall, undoubtedly the busiest. But this Christmas, Heather has more to contend with than frazzled parents and disgruntled Santas. Angela Steinhart, a young woman who designed the mall’s spectacular holiday displays, has had the premonition that tragedy will strike on Christmas Eve. And Angela’s visions have a habit of coming true. Note: I purchased these mass market paperbacks at the used bookstore, so they are in very nice but not perfect condition. To enter, simply fill out the Rafflecopter form below. This giveaway is open to U.S. residents only and will end at 11:59 PM ET on Friday, December 7, 2012.